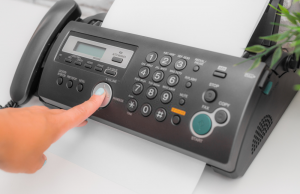 As per the recent data, 160,000 Google Android OS Smartphones ships daily. What is the distribution of Android OS in the world by different mobile devices? Which is the most circulated device having Android OS? Answer of these questions are here; check the distribution chart of Android OS where you can see different Smartphones having Android OS and their market share. Motorola Droid is leading the market with 33.75% market share and after that HTC Hero is following with 9.90% market share. Google Nexus One is having 2.00% market share of Android OS. 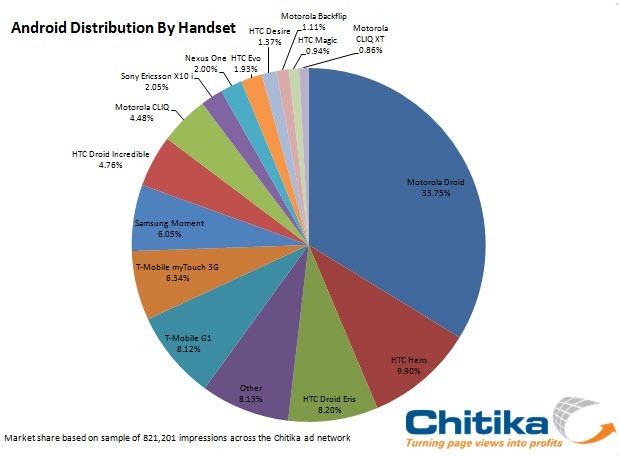 Chitika Ad network released this data chart. 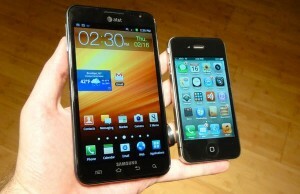 They also provided distribution of Android OS phones on different mobile carriers. 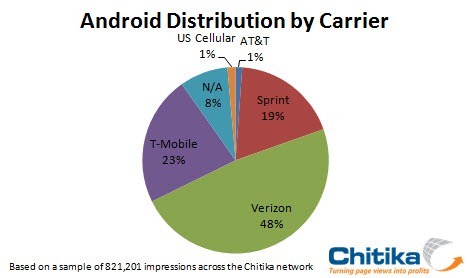 Here is the chart showing network carriers where Verizon is leading the market of Android with 48% coverage. As per the recent update, Google and mobile phone makers are planning to capture the Asian market of India and China with different Android based phones. Hope to get more updates on that soon.